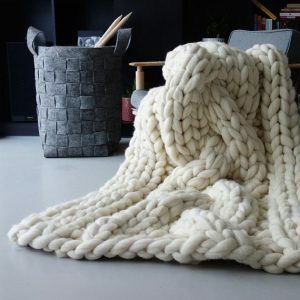 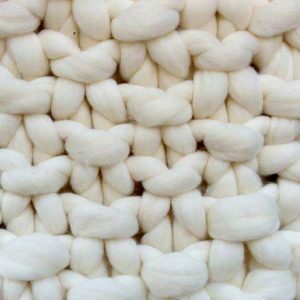 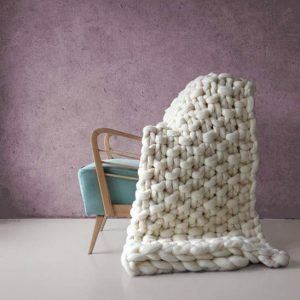 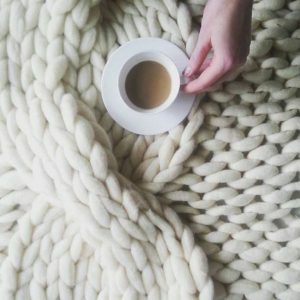 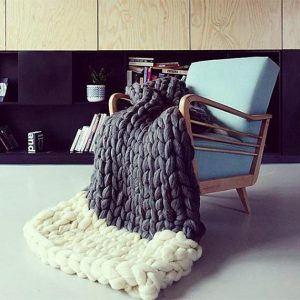 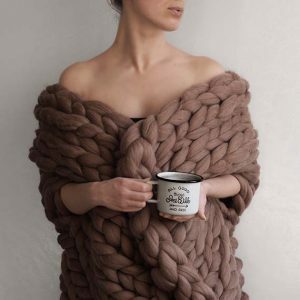 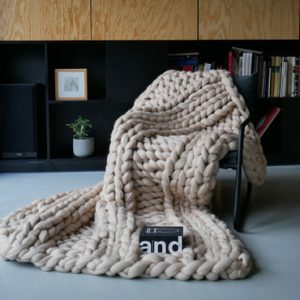 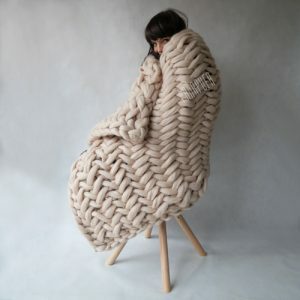 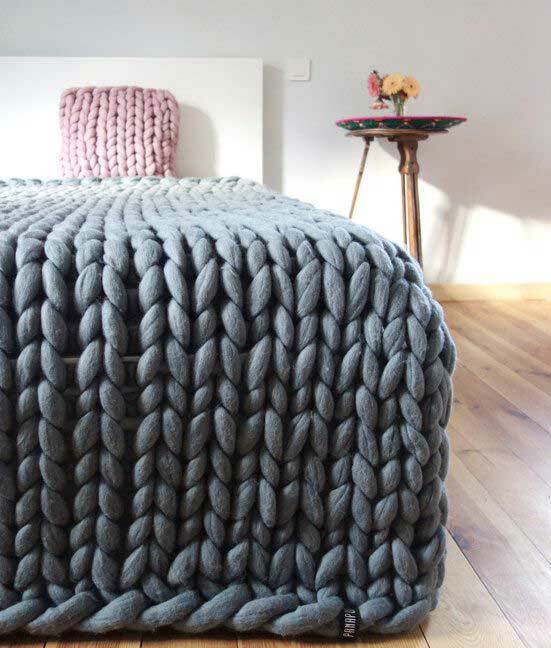 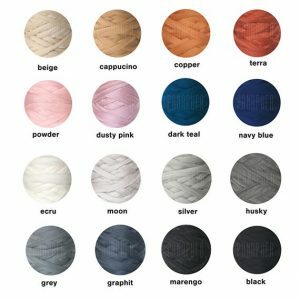 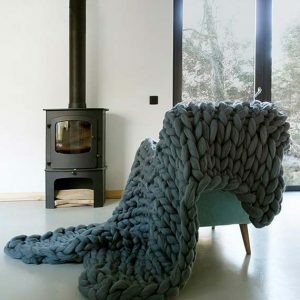 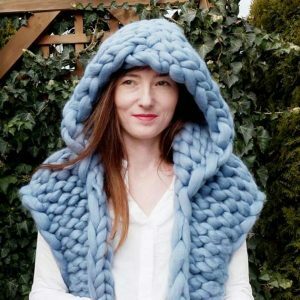 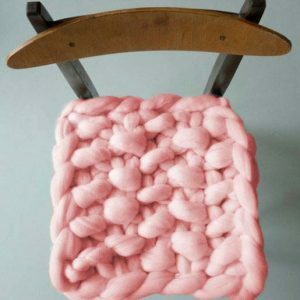 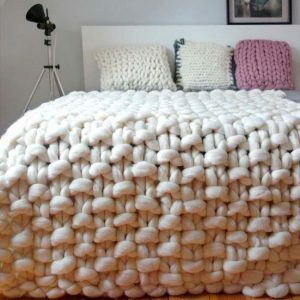 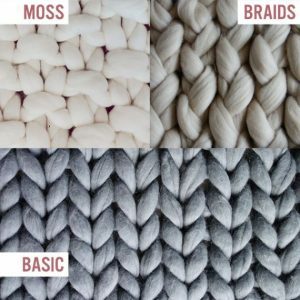 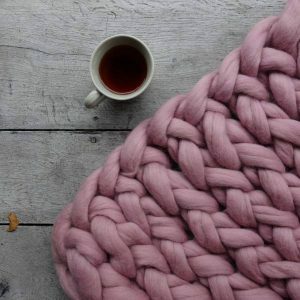 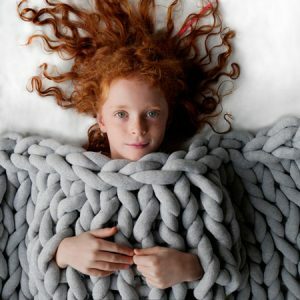 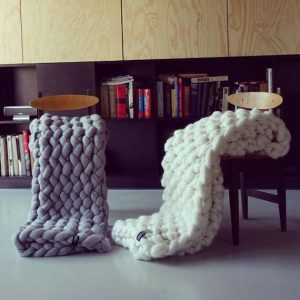 The luxurious throw, which is hand knitted by using extremely big needles and unspun merino wool. 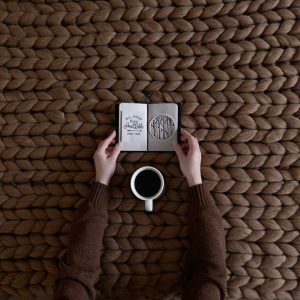 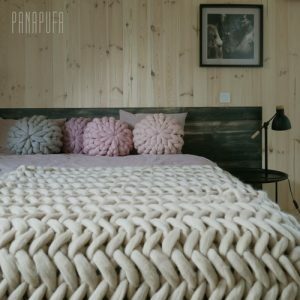 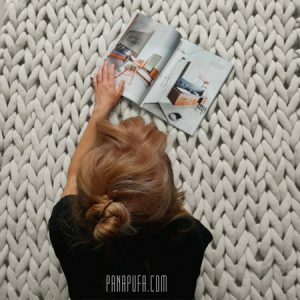 Due to natural material, traditional hand craft and extreme pattern size the throw makes your room look contemporary and cosy at the same time. 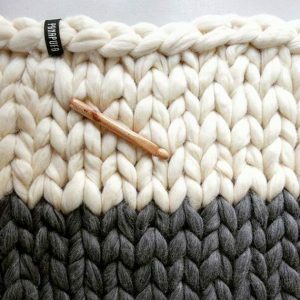 Grey color in the picture.